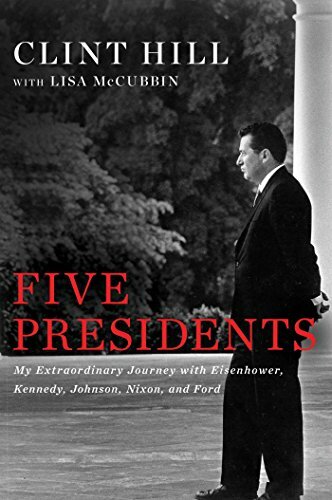 A rare and fascinating portrait of the American presidency from the #1 New York Times bestselling author of Mrs. Kennedy and Me and Five Days in November. Secret Service agent Clint Hill brings history intimately and vividly to life as he reflects on his seventeen years protecting the most powerful office in the nation. Hill walked alongside Presidents Dwight D. Eisenhower, John F. Kennedy, Lyndon B. Johnson, Richard M. Nixon, and Gerald R. Ford, seeing them through a long, tumultuous era—the Cold War; the Cuban Missile Crisis; the assassinations of John F. Kennedy, Martin Luther King, Jr., and Robert F. Kennedy; the Vietnam War; Watergate; and the resignations of Spiro Agnew and Richard M. Nixon. Some of his stunning, never-before-revealed anecdotes include: -Eisenhower’s reaction at Russian Prime Minister Khrushchev’s refusal to talk following the U-2 incident -The torture of watching himself in the Zapruder film in a Secret Service training -Johnson’s virtual imprisonment in the White House during violent anti-Vietnam protests -His decision to place White House files under protection after a midnight phone call about Watergate -The challenges of protecting Ford after he pardoned Nixon With a unique insider’s perspective, Hill sheds new light on the character and personality of these five presidents, revealing their humanity in the face of grave decisions.